A total of 696 private schools are registered with the State Division of Non-Public Education. Of those, 70 percent are religious and 30 percent are independent. A quarter of the private schools have enrollments of fewer than 20 students; nearly another quarter have enrollments of fewer than 50 students. North Carolina’s private schools operate throughout the state, though there are nine counties with no private schools and 17 counties with just one private school. In those 17 counties, the single private school is religious. The average tuition of private day schools in North Carolina is $6,690. 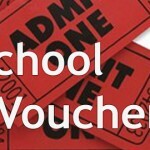 Only 35 percent of schools charge tuition that could be fully paid by a voucher (i.e., $4,200 per year or less). Of those schools, more than 90 percent are religious schools. At the middle and high school level, about 95 percent are religious schools. About 70 percent of the schools have no accreditation from any type of independent agency. Only 30 percent of the private schools in North Carolina employ only certified teachers. Twenty percent of schools have no certified teachers; another 25 percent have fewer than half certified teachers. Only 25 percent of the private schools follow the North Carolina curriculum standards. About 70 percent of the private schools are racially segregated, meaning that more than 80 percent of the students are of one race. A third of the private schools reported that their enrollment is more than 90 percent of one race. Twenty-nine percent are more than 90 percent white; 4 percent are more than 90 percent black. Read the entire op-ed by clicking here. Interesting that the GOP is against “tax dollars” going to needed services for people with low income but are in favor of giving tax dollars to create a segregated school system that caters to the religious right a group that believes that the earth is flat.